During the first session of Integrating Theory and Practice, we were introduced with the notion of RVJ (Reflective Visual Journal). It is an indispensable tool which visual communicators can use when confronted with the need to solve a problem of visual implication. Although in essence a sketchbook, the RVJ is based on a set of several key principles. The most important principle that an RVJ incorporates is drawing. It is extremely important for the practitioner to work by hand, thus enabling his mind to make a direct connection to the piece of paper and lay out ideas. By using this technique, problems can be solved easier and with greater effectiveness. 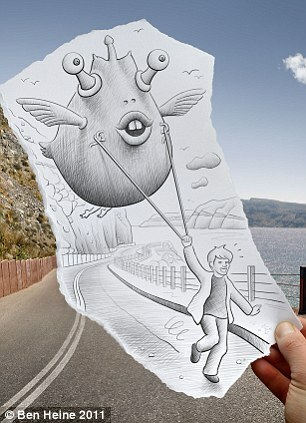 Such examples can be found in the work of Ben Heine, a Belgian illustrator and photographer. His unique way of seeing the world stimulates interest through humor in order to underline it’s intention: that numerous visions of the world are available. Although at first glance comprised mostly of cartoonists, Ben Heine`saudience could also include people interested in ecological matters, children and also other artists. Numerous signs are present in his artwork: the majority of photographs show a hand holding a piece of paper with a drawing, marking the presence of an altered vision of the worlds by the means of drawing. The viewer has to alter his previously known perspectives in order to decode the vision presented here. Once this is achieved, the reward is a new way to experience the world, conceive ideas and enable an innovative way of thinking. The context in which the Belgian`s artwork appears is in the form of a contradiction that appears between two separate ways of presenting reality named “Pencil vs. Camera”. 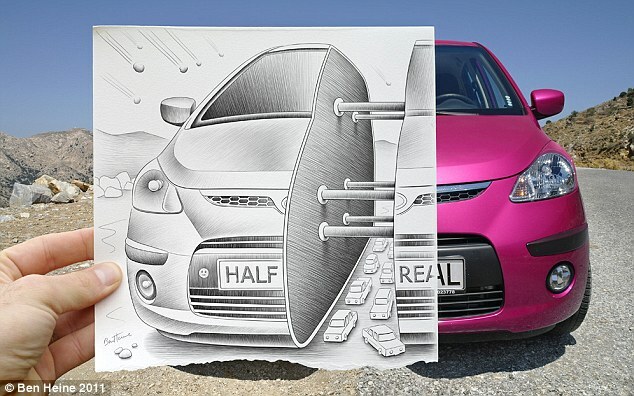 More of Ben Heine`s work can be seen on his website. Another essential principle of the RVJ is to use your creative brain. This means using both the right and left sides of your brain in concordance. One can use the playful and creative right side of the brain to come up with numerous innovative ideas and then use the left part of the brain in order to evaluate these ideas and establish what can be used. This alternation or left and right brain sides is the key to creative thinking. 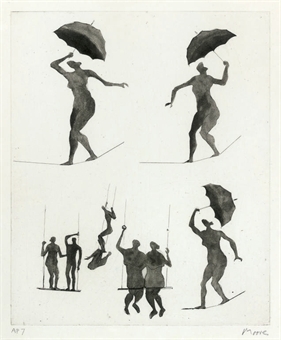 Some examples of creative brain usage can be found amongst Henry Moore`s sketches, an English sculptor. Many of his sketches were used to lay out general ideas of the final outcomes. 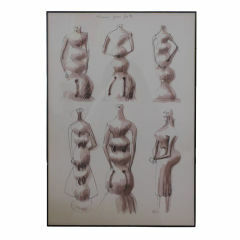 The intention was to depict abstractions of the human body. Mostly art oriented viewers formed the audience. Signs of this abstraction can be found in the hollow forms that usually represent female bodies. , Henry Moore used reclining figures and bent limbs that rejoined the bodies of his sculptures in order to encode his abstract message. The context of his artwork is the exploration of this reclining figure and also experimentation. Both of these principles have numerous ways of application in any RVJ. Ben Heine`s shows that drawing can sometimes supersede other forms of creation, such as photography, in terms of creative power, while Henry Moore`s sketches represent the creative process at it`s best, by using simple drawings to later create visually-inspiring works of art. It is important to a visual communicator to understand these principles, as the represent key elements of any design process.